Yesterday on Trade Rumors.ca, we discussed on how the Pittsburgh Penguins were trying desperately to acquire power forward Ryan Kesler from the Vancouver Canucks. Apparently the Penguins general manager Ray Shero has made an offer to his counterpart in Vancouver, Mike Gillis. Now according to TSN Hockey Insider Darren Dreger, Shero is ready to do everything he can to acquire kesler prior to Wednesday’s trade deadline. Dreger has added that other team are joining the Penguins in their quest for Kesler. Kesler is known to have a no-trade-clause that restrict him to have only US based teams. 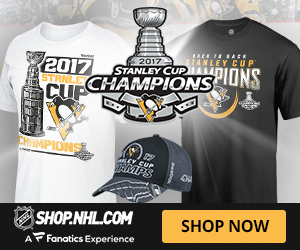 Teams who are interested and who joined the Penguins are: the Detroit Red Wings, the Columbus Blue Jackets, and finally the New York Rangers. As for the New York Rangers, do not neglect a trade of Kesler for Ryan Callahan if the Rangers can’t come to terms with their captain. Is Ryan Callahan staying in New York? It appears that Ryan Callahan has softened his demands to the New York Rangers leading to the trade deadline on Wednesday. 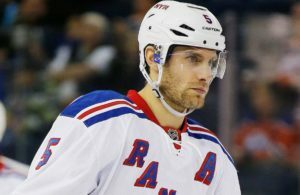 This could mean that the Blue Shirts captain is willing to stay in New York. 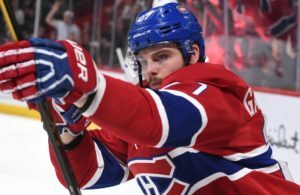 According to TSN NHL Insider, Bob Mckenzie and Pierre Lebrun, Ryan Callahan would be willing to accept a contract of six years at less than 7 million, based on a Monday tweet. The initial demand from Callahan was for seven years in the range of 7 million per season. Lebrun confirmed that Callahan’s annual salary demand would be more like 6.5 million. 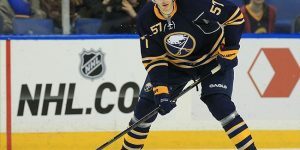 Callahan who is set to become an unrestricted free agent this summer initially denied the initial offer from the Rangers of six years at six million dollars a season. This offer was qualified as firm by the Rangers, Lebrun reported on NHL Insider. This year Callahan scored 11 goals and 25 points in 45 games played. with the Rangers this season, A veteran of eight seasons, Callahan has played his entire career with the Rangers and had his best season in 2011-12, where recorded 61 points and a career-high 29 goals. With Ryan Miller now in St-Louis, the teams who are in a search for a solid goalie need to temper their quest and obtain what is best out there and what is left. Call it the consolation prize. The next goalie in line after Miller is nothing better that the winningest NHL goalie, New Jersey Devils Martin Brodeur. A report from CBC.ca during the weekend did state that Brodeur lifted his no-trade-clause and was ready for any possible trade his general manager, Lou Lamoriello may complete prior to Wednesday’s trade deadline. Heading the list of teams looking for a netminder capable to push their team deep into the playoffs are the Minnesota Wild. 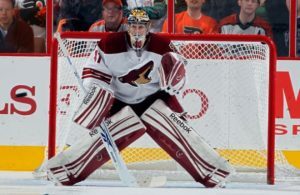 Although the Wild have obtained good performances from current goalie Darcy Kuemper, the Wild feels like they need a solid playoff performer in net if they want to compete with titans like the St-Louis Blues, the Los Angeles Kings, the Chicago Blackhawks, and the Anaheim Ducks. With often injured Niklas Backstrom and Josh Harding battling MS, the Minnesota Wild need stability in net. The other goalie who could be in demand is Jaroslav Halak. Halak traded Friday to the Buffalo Sabres could be swapped again prior to Wednesday. Something Halak has come to terms during the weekend, which means Halak is not unpacking just yet. 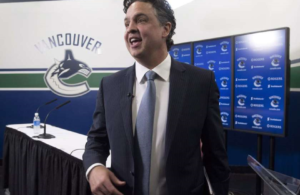 Should a deal for Brodeur falters, expect Halak to possibly change address again. Halak is expected to be an unrestricted free agent July 1st. 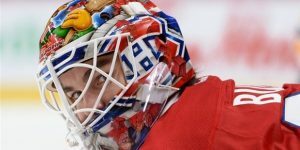 Other options out there are: Viktor Fasth in Anaheim, Tim Thomas in Florida, Justin Peters, Anton Khudobin and Cam Ward in Carolina, and Ilya Bryzgalov in Edmonton. Of this list, Martin Brodeur remains despite being 41 years-old the best option for the Wild or maybe the Washington Capitals for a solid playoff goalie. After hearing trade rumors surrounding several veterans from the Dallas Stars, you can now add veteran defenseman Stephane Robidas to the list. Robidas, 37, is still rehabilitating from a broken leg and could be returning mid-March. According to a Daren Dreger, TSN NHL Insider , he tweeted that Robidas is currently generating some interest for teams wishing to acquire a defenseman at a cheaper price than a Andrew MacDonald, for example. Labeled as sellers for the upcoming trade deadline, the Edmonton Oilers are willing to part with some players either heading free agency or veterans who could generate some picks for next draft. This is the case for players like Ales Hemsky and Ryan Smith. 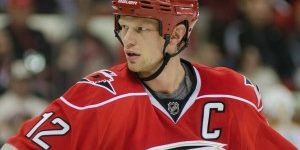 According to to Jim Matheson of the Edmonton Journal, the Oilers will be looking at trading forward Ales Hemsky and also longtime Oiler, Ryan Smith. Another player which may generate some interests is veteran defenceman Nick Schultz. 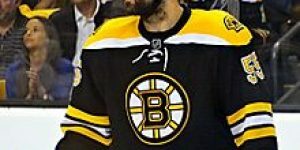 Matheson reports that the Bruins are looking at Schultz in replacement of injured Dennis Seidenberg. The Oilers will be looking to add third-line grit with offensive skills and defensive help prior to the deadline. The Edmonton Oilers have somewhat solidify their netminder issues by extending goalie Ben Scrivens to a two-year deal worth 4.6 million. Scrivens acquired from the Los Angeles Kings earlier this season for a third round draft pick in 2014 has provided solid goaltending since his arrival in Edmonton. In his last 5 games, Scrivens has compiled a save percentage of ,958 and a 1,80 goal against average. According to TSN NHL Insider Darren Dreger, he reports the Ottawa Senators are ‘quietly gauging interest’ on Jason Spezza. Spezza who has been named captain earler this year following the departure of Daniel Alfredsson in the off-season, has 15 goals and 46 points this season in 56 games played. Spezza who has signed a seven year deal in 2007 at seven million per season will earn 4 million next year on the last year of the deal. 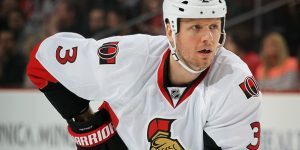 Spezza has never been rumored in a possible trade mainly due to the hefty contract he carries. But now Spezza is near the end of his contract and could create more interests amongst other teams. Most of the rumors this involving Spezza has been to find him a winger that would create a chemistry similar to the days when he played with dany Heatley. UPDATE: Met this afternoon, Bryan Murray general manager of the Senators has categorically denied the rumors involving his star center and that he was gauging interest to other teams.